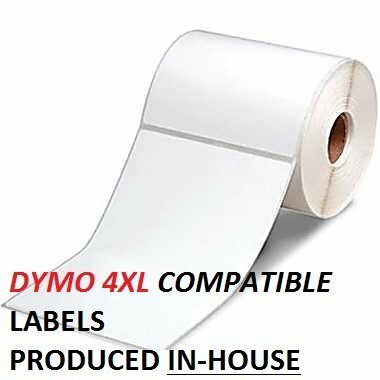 Dymo 4XL Compatible Labels 20 Rolls 4" X 6"
Dymo 4x6 compatible labels. Looks and works exactly like the Dymo brand labels but for a much affordable price. Our labels are the same, if not better quality than the store brand. 220 labels per roll. Bright White with Permanent Adhesive.